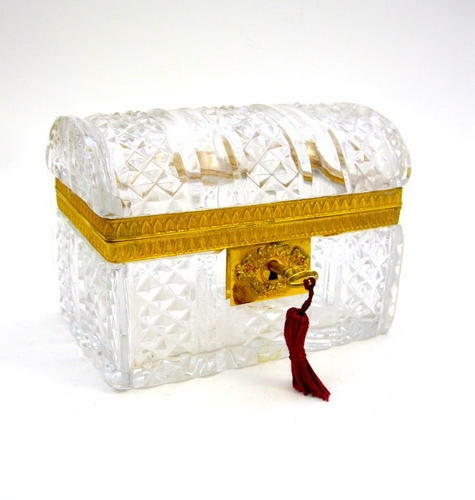 Antique Baccarat Rectangular Cut Crystal Jewellery Casket Box with Domed Lid. Smooth Straight Ribs Alternating with Diamond Cut Straight Ribs Decorate the Body and Lid. The Key Hole is Embellished with Scroll Work. Super Quality Mounts and Fine Cut Crystal, BACCARAT.